Enjoy British produce at its very best and source the most succulent meat, the ripest fruit and vegetables and the freshest most sustainable seafood. For more information on our UK Ark of Taste products click here. 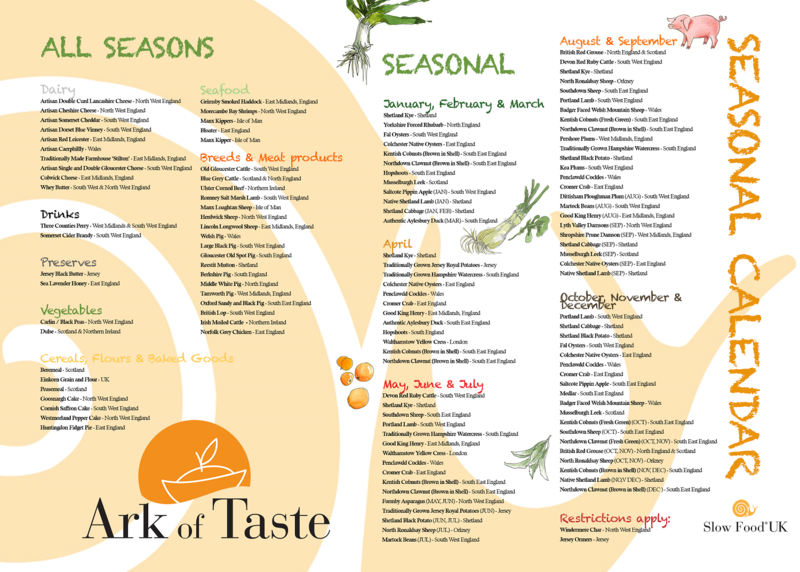 If you are interested in more information about eating seasonal food please click here.